WordPress is commonly used and the most popular content management platform for today’s bloggers and web developers. It has immensely grown in the last few years and it continues to empower with the powerful and amazing features and WordPress plugins. 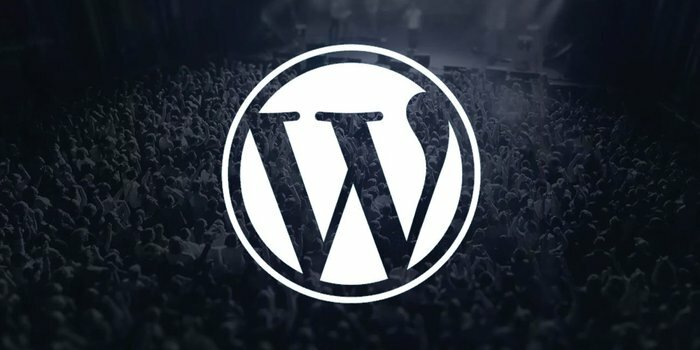 These WordPress plugins are essential for the enhanced functionality of the WordPress website, but adding a large number of plugins adds the higher risk of potential threat to the website. It may even cause some of the elements of your website stop working. This article lists all the risk behind WordPress Plugins and ways how to reduce the WordPress Plugins risks. The great thing about WordPress is finding a bunch of plugins for adding the right theme for your website and customizes your website the way you want. There are nearly 28000 free plugins available. Plugins are no doubt best for your WordPress site, but overusing it may cause the serious issue to your website. Check out what are the risks you may go through with the plugins failure. When a user visits your website, a lot of code is executed behind to deliver the page to the visitor’s browser. Along with this code, the code introduced for plugins also runs at the same time. It can greatly affect your site loading speed and the increased memory requirement of your site. It is likely that the visitor leaves your website if it hasn’t loaded fully. So, using a limited number of plugins is better for your site. Plugins don’t require too many maintenance and managing work. They are easy to manage. People with no coding knowledge can also operate them. However, there are some issues you may face while updating the plugins. The updating of Plugin may contain bugs in the code. Whenever you add and update a new plugin, the risk will increase on your website and it can cause serious issues. Plugin conflicts are a very common issue in WordPress websites. When programmers write plugins, they write in a way that may cause a conflict with something else. There are standards for plugin development but nobody follows it too seriously. The conflict also occurs when two plugins have the same generic name. Using fewer plugins on your website will reduce the risk of their conflicts and your website will work better. Whenever a new plugin is installed, there is always a higher risk of security issues involved with the plugin. Since it is not tested and reviewed earlier, so, there is a higher risk of affecting your site. So, it’s better to install a plugin that has been tested and tried earlier. Go through the feedbacks and reviews before you a new plugin for your website. The more plugins you have on your site, the less frequently you will update them. If you have limited plugins, then the chances of getting hacked will reduce. Plugins take up some space in your file system and some plugins will make use of your WordPress database to store information. If you are using how hosting service, your website space is likely to fill sooner. So, you need to be careful while installing and storing a plugin for your website. Be selective while choosing plugins for your WordPress site. By far you know the risks the WordPress plugins can cause to your website. So, how to reduce these risks for the better functioning of your site? The following factors can help you in eliminating the WordPress plugin risks. Let’s have a look. Think and decide whether you really need those plugins for your WordPress site. If the plugin is absolutely necessary for the functionality of your website then install the plugin. If you don’t need it, then don’t activate it. Every plugin increases the risk on your website. The more plugins you install, the more managing issues it will have. So, determine the need and then install the plugins. Before installing a new plugin, check the documentation of the plugin and make sure that it does not match and conflicts with another plugin from the directory. Analyze and test your website performance after installing the WordPress plugin. Installation can have an impact on your search engine ranking and also affects the visitor experience on your site. We recommend you to download WordPress plugins from the official websites or any trusted source only. Do thorough research before finding a perfect plugin for your site and then decide. There is always security issues associated with the WordPress plugins. Old plugins are more vulnerable to the hacks. The attackers are more likely to attack the websites who don’t use updated WordPress plugins. So, keep updating your plugins time to time to keep your website away from the hackers. As a WordPress owner, managing your plugins is utmost important. Understand the risks and use the plugins as required and improve website performance. Deepika Jain is a passionate freelance content writer and blogger. She loves reading and writing new things. She likes to share her knowledge with her writing. Currently working for many well-known startups from Indian, US and Dubai i.e SEOTrainingClasses – provide SEO training in Jaipur, Techingenious –mobile app Development Company in Jaipur, Sharp Freelancer, DMC, Women Freelancer, INC Academy and many more. You can follow her on Twitter and LinkedIn.